Willow, our girly pink-obsessed lil' Alley Cat host! A Nutcracker, done in Webkinz! 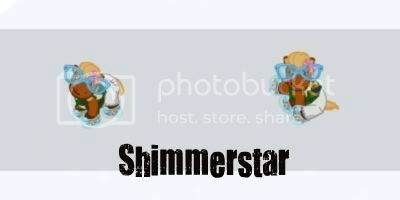 SS: Hey Insiders, it’s your rockin’ host Shimmerstar! 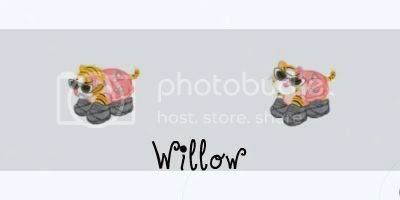 W: and here’s your other host Willow! SS: and we’re here today to welcome you to luv2writeNS’s radical talk show, KinzToday! W: For our first EVER episode, we’re interviewing an awesome WI play writer! SS: Actually, you could call them play writing legends! W: That’s right, play writing legends. Give it up for WI members Bindidog and Adrkmfdm, authors of our own A Nutcracker Ballet—Done in Webkinz! SS: Whoo! I knowI’m excited. So Bindidog and Adrkmfdm, how does it feel to be here today? Bindidog:Thank you for having us Shimmerstar and Willow! I'm excited and happy to be here! Adrkmfdm: It feels great, Thanks! W: Let’s get down to the interview, shall we? Tell me Bindidog and Adrkmfdm, what originally inspired A Nutcracker Ballet? B:Well, I had originally made a short story while waiting for the Snow White ads to show up, and posted it on my house thread. A few people thought it was funny, but one member, Coonycoon, told me how much her son enjoyed it. Since I had just made it to pass time, I was pretty excited that someone out there liked it so much. So that got me thinking about doing a bigger story, and somehow the Nutcracker just seemed like the right one to do! A: That was all Bindi's idea. From what I remember it was inspired by a story Bindi posted in a thread. Our friend's son loved it and she was inspired to do more. SS: and also, we want the scoop on your newest, The Lion the Witch and the Wardrobe. Why did you feel that storyline was your next big step? B: Well we never thought the Nutcracker would be as successful as it was, so immediantly I starting thinking "what else could we do?" I had many good suggestions for more Christmas stories, but nothing stood out to me...until I started thinking about the different seasons in Narnia, and then I was hooked! A: Narnia is a great story and when Bindi said hey lets do that as our next play I ran out and bought the movie right away. I feel really lucky and honored that Bindi chose me to help! SS: I bet you fell in love with the story right away like we did! So were you surprised by the reaction you got from your nutcracker? B: Of course! When I started the Nutcracker, I was just going to post it on my house thread! Then as I went along, I realized it would be more fun to include my friends. I had met many of them at the vacation party thread, and last summer the parties weren't working, so when we all got back together, it was almost like a reunion! A: Yes, I knew that making these plays would be a lot of fun but I had no idea that they would ever be this popular! I was really surprised when we found out how much webkinz loved it too! W: What do you think was the hardest part of collaborating a performance like that? B: I think coordinating peoples' schedules from all around the globe was a HUGE challenge! One of our stars lives in France, and another lives in China, so we had to figure out what time we could all meet to film! A: Narnia was huge and Bindi wanted to involve as many WI's as possible. So I would say keeping who was who at the park was the toughest part at least for me. People kept popping in as different pets, and it was tough keeping a spread sheet going. Arranging scenes has a lot more into it than anyone could ever imagine. Just trying to get all your friends in one room to shoot at a given time can be a battle, especially with please waits and phone troubles. SS: We totally feel for ya, we starred in luv2writeNS’s version of A Christmas Carol. Wow, China and France! That must have been a hard one……I don’t even know how to figure out worldwide time zones! W: and of course, our production was nothing like your nutcracker or Narnia. We didn’t do half as many scenes. SS: So, planning anything big for next year? B: Hmmm....I have nothing on the burners as of now....I'm just looking forward to getting my "Mayor" status, and playing with all the pets who didn't have a major role in LWW! They are feeling neglected! W: Anyone you’d like to thank/give a shout out to? B:I want to thank Adr and CheekyDB...because I seriously couldn't have done it without them. Also I'd like to thank everyone who happily volunteered their pets to help out...they made it amazing, because we had such a variety of pets! A: First and foremost Bindidog of course!!! Without her we wouldn't have a Nutcracker or Chronicles of Narnia. I'm so lucky to have a wonderful friend like you . And of course to all my Deluxie friends, and early morning party friends. You make WW and WI so special! Hugz! SS: Well thank you so much for being here Bindidog and Adrkmfdm! I hope we’ll see you in studio again sometime soon! Maybe next year, when you possibly have this new story you were thinking of Adrkmfdm……. SS: Bye! Oh, and thank you for reading KinzToday! Want to get the latest interview updates? Just ask to be on the VM list, and you are notified as soon as I have a new interview posted! Accepted entries are confirmed to be on the show. People on the waiting list are still confirmed their episode, just have to wait until other episodes before them are over. Episodes that are currently active mean they are in progress. CURRENT UPDATE: Jan 4th. All spots are filled for next two shows. You can still enter, but if you are accepted you will be placed on the waiting list. Check the 'accepted entries' for more info. UPDATE! We have our own WNTM, the winner will star on the cover of KinzToday and get their own interview! Let's sign up! Deadline is the 14 for modeling, so hurry! Click here! So, do you have what it takes to be the next KinzToday star? Just fill out this form below, and you have a chance at being on our next rockin' show! Of course, since we can't include everyone on one show, (a bit too crowded.... ) Only a few members will get selected. Please PM or VM this form to me, luv2writeNS. DO NOT post forms on main thread please, it gets a bit cluttered. Maybe you're a bit confused--how does this work? Here is what we do after you're accepted, and where to go from there. Step 1: Fill out a form located on the KinzToday thread. I prefer it PMed to me, but VM works too. Please don't post it on the main thread, it gets a bit cluttered. Step 2: I'll contact you. Usually I like to learn more about the thing I am interviewing you about before I accept your form, to choose it it's right for KinzToday. Then I will notify you if your form is declined or accepted. Sometimes after I accept it, you are placed on a 'waiting list'. We still proceed with the next steps right away, but your issue will be published later in time. Step 3: After I accept you and whoever else is in the interview, I will send you a form, and questions I have written. Fill in the questions before filling out the form. Step 4: After you and all people have filled in all the questions and responded, I will post the issue with your interview in the next issue of KinzToday! (or in whenever date we have agreed.) Congrats, you are in KinzToday! ♥Please don't get mad if not selected. ♥Please be nice to those who are selected. ♥ If you don't make it, please wait at least 2 days before re-applying. This is a big one, I can't pick everyone, and I don't need countless PMs and VMs all of the same person. I will contact you with notice if you are accepted, not accepted, and what to do from there. Last edited by luv2writeNS; 01-22-2011 at 10:23 PM..
Great Job!!! I can't wait for more. Thank you so much! I really really appreciate your comments! I really enjoyed it, I hope you make more. I should be on KinzToday because: don't have a reason. I think its fun!! Other: Our guests told us that there was a person from China. And that means that in China you can buy Webkinz Pets. So can I have the name of that person because I can't find Webkinz in China. Hi, 11bloom11 That person would be me, I guess. At least Bindi pm'd me about your comment and asked if I could help. I do live in China, but I'm sorry to say that I don't buy Webkinz pets here. The last time I was in the States I got several pets, but since then I've ordered them online and had them sent to a stateside friend who holds the plushies for me and lets me know the codes. I've never seen Webkinz in any stores here in the area where I live. Username: I actully have a few people in mind...Stargazer1, Chocolatebar, and Baby_G, and me. I should be on KinzToday because: We are the main parts of the new 'Tangled' done in webkinz! Other: I may ask, can you not consider us, until I PM you with whoever eccepted to get interviewed? I have to check with the director, stargazer1, if we can actully BE in the intview. Then I have to check with the people who play the main parts, too. 2:50, awesome!, jessie_1721 was here :], s.m.o.p.h.i.e, smile; you're beautiful!, this is a great idea!, you are beautiful!